A scientific calculator is designed to calculate problems in science, engineering, and mathematics. They have almost completely replaced slide rules in almost all traditional applications, and are widely used in both education and professional settings. 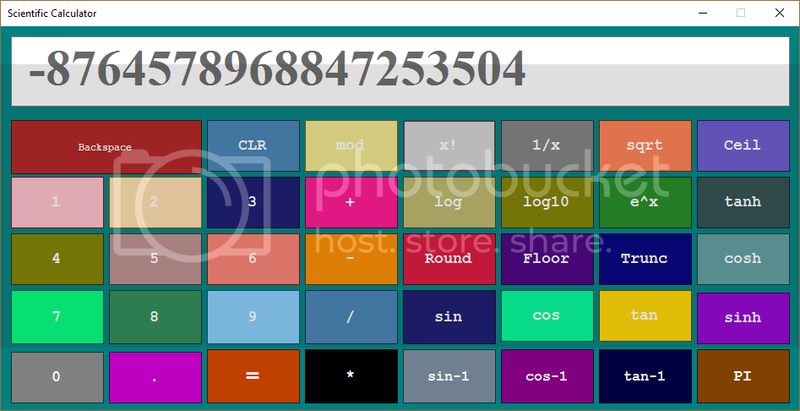 This program was bulid using the C# programming language. Please feel free to use the program for whatever you wish. If you have any question leave it in the comment section below.